Oftentimes education will help you a lot in managing your finances and some aspects of your life that you have to deal it. Information and correct data can save you money and time on most circumstances and situation. Take the case of our monthly household consumption it always seems the same or higher. I observed that it’s always of the increasing side always. Even if we tried our best to save or cut down electric consumption when the bills arrived it’s almost always the same. Two years ago my staff recommended that we logged in to our electric provider site where they provide a helpful menu that computes consumption per appliance per time consumption. The menu will help you estimate your bills as per appliance and hours consumed. Anyway that helps but conservation matters more and it can be done by combined efforts of the whole family. 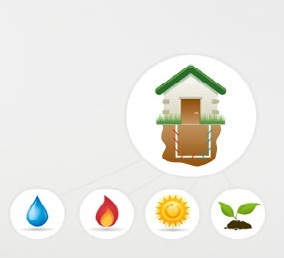 It’s best also if we have something like geothermal systems, a hybrid system that exchanges heat from the air inside your house into an underground water reservoir. It was known that Arizona has extreme difference in indoor air and outside temperature. 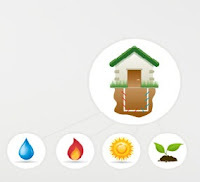 It can’t be solved by just an ordinary air conditioning system so GeOasis find a way to solve this by means of geothermal heat pump which uses the solar energy stored below to provide air conditioning, heating and hot water thus saving money on their electric bills. With GeOasis innovative geothermal heating and cooling systems the solution for an effective indoor comfort has been remedied. Now people in Arizona can enjoy cooling their pool on warm months and heating it on cooler months. That’s super comfort, economical and environment friendly.